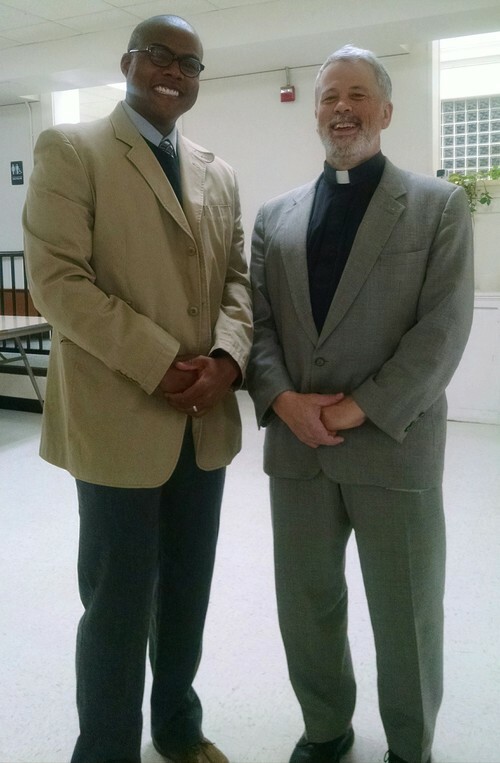 During African-American History Month, BPC’s Rob Rivers (pictured below with Rev. Chuck) shared the following powerfulpersonal witness in Worship. I want to begin with a disclaimer: By no means do the views expressed represent the official views of Bethesda Presbyterian Church, the Presbyterian Church (U.S.A.) or represent a collective voice of what other Black males in their mid-30s think. Rather, these are my heartfelt convictions and thoughts as we go through this month of both remembrance and recognition for the accomplishments of Blacks in America during Black History Month.